Are you keen to discover a very singular place for a day trip, not too far away from Sydney? Or, are you looking for a very unique weekend or even week away? Then, look no further than Dangar Island. This exotic island is only one hour away from Sydney on the Hawkesbury River. 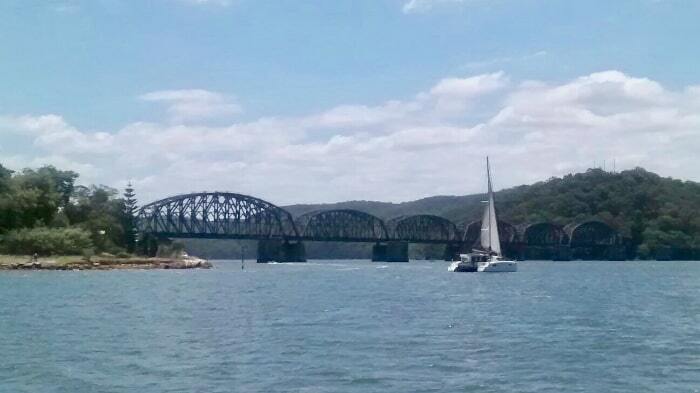 From the public ferry wharf of Brooklyn to Dangar Island, it is a pleasant 20 minute trip with million dollar views of the scenic Hawkesbury River Railway Bridge. NB The original Railway Bridge bridge was built between 1886 and 1889 and it was the largest bridge project until the Harbour Bridge was completed in 1932. 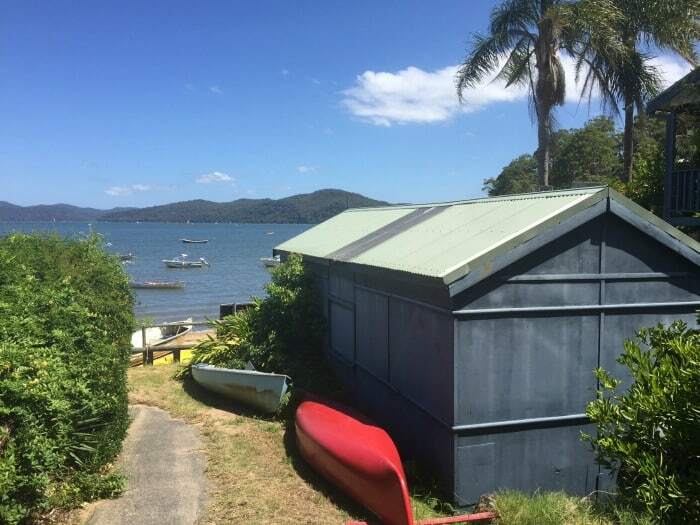 There are no hotels on Dangar Island, just some lovely beach houses, cabins and cottages of all sorts. Have a look at Wobby Beach House here, sleeping six people in three bedrooms with its own pool and amazing views too. Hamptoms Shack Boat House, click here, is a smaller place, right on the water, great for couples on romantic getaways. 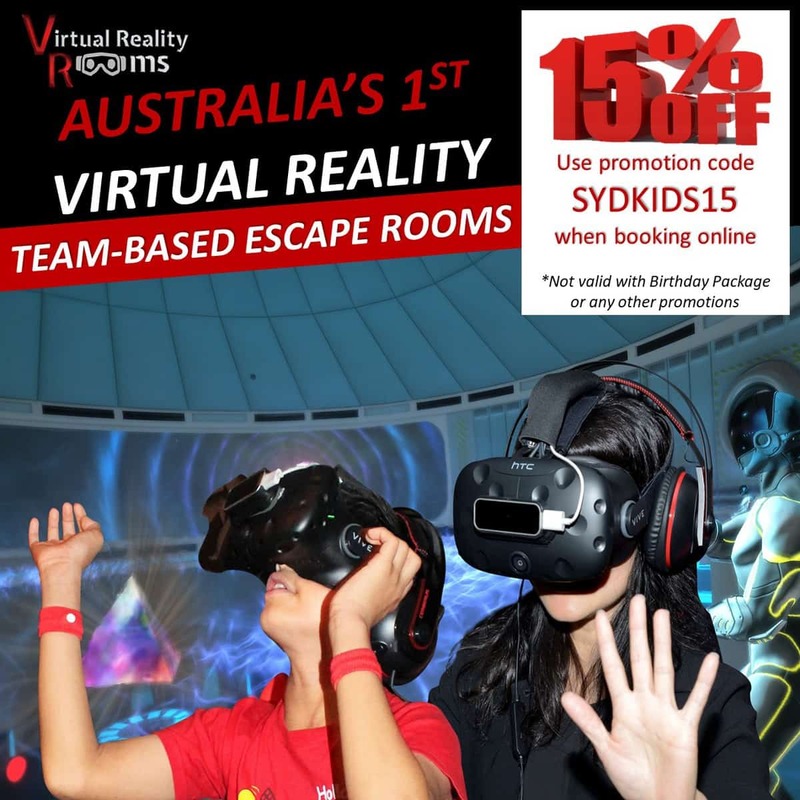 You can find many other beaches houses available on Home Away Stayz Australia, click here to have a browse. Some local real estate people may do other Dangar Island holiday accommodation but we have never used any. Click here for the current ferry timetable, ferries usually leave once an hour or so. The beautiful restored small vessel, the ‘Sun’, that serves Brooklyn to Dangar Island is not a fancy ferry, but it is efficient and sets the mood for this new adventure. Travelling to Dangar Island is a bit like taking a journey into the past. Where does the ferry depart from? From the public wharf of Brooklyn opposite to the Hawkesbury Marina on Dangar Road (not Brooklyn Marina!). 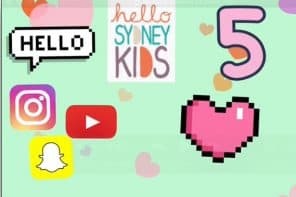 The address is Brooklyn Public Wharf, Dangar Road, Brooklyn, New South Wales, 2083. Every hour, approximately. There are two timetables, one for the week and another one for the weekends and public holidays. The ferry timetable changes also in winter, offering one less service on Saturday and Sunday evening. If you miss the ferry, there is a water taxi service. Yes, but it is a very small vessel. If you have children that cannot swim, keep an eye on them constantly as there isn’t any rail on the wharf or a gate in the vessel. Does the ferry have EFTPOS machine to pay for the tickets? No, only cash is accepted. The bottle shop across the wharf allows you to get cash with a minimum purchase. My children and my parents enjoyed the spectacular water views of the Hawkesbury River on our way. As soon as we got off the ferry, we understood why Dangar Island is a very special place. The information boards and the book corner of the ferry wharf gave us the first clue. And, the parked wheelbarrows provided us more evidence that Dangar Island is quite unique. The most similar place to Dangar Island that I had the chance to visit in the past is La Digue Island in Seychelles. Both islands don’t have any cars. In Dangar Island, there is only a City Council ute, a fire engine, a little ambulance and a buggy service. Dangar Island is very peaceful. It is very lush with abundant beautiful flowers. There are a couple of walking routes, a couple of beaches, a playground, a café and a bowling club. When is the best time to visit Dangar Island? Even though you can still go in winter and enjoy a walk on the island, I would recommend summer (so you can have a swim), or a warm day in spring or autumn. Spring is an explosion of colours with all the flowers. If I go by train, is the public ferry wharf far away? No, only a 5-10 minutes walk. Where can I park the car in Brooklyn? There are two car parks close to the ferry wharf. One is the car park at McKell Park and the other one is before reaching the Hawkesbury Marina. 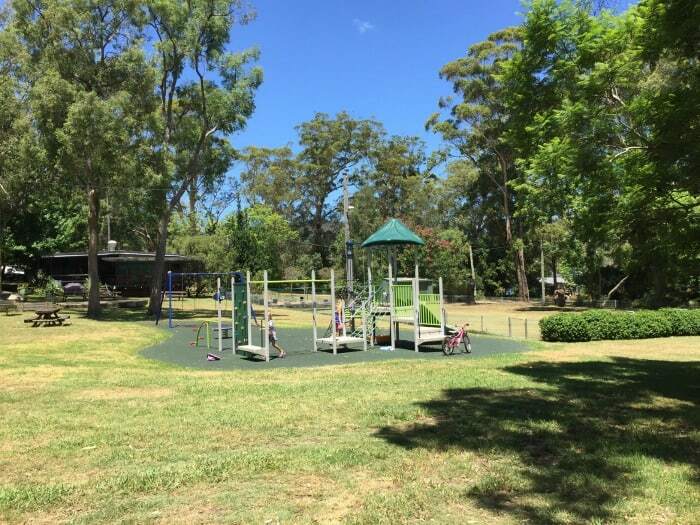 The car park at McKell Park has two sections: a lower one and an upper one that also has a picnic area with views of the river. It can be quite busy at the weekends. If you are not lucky, unlimited parking is available around the main streets of Brooklyn. 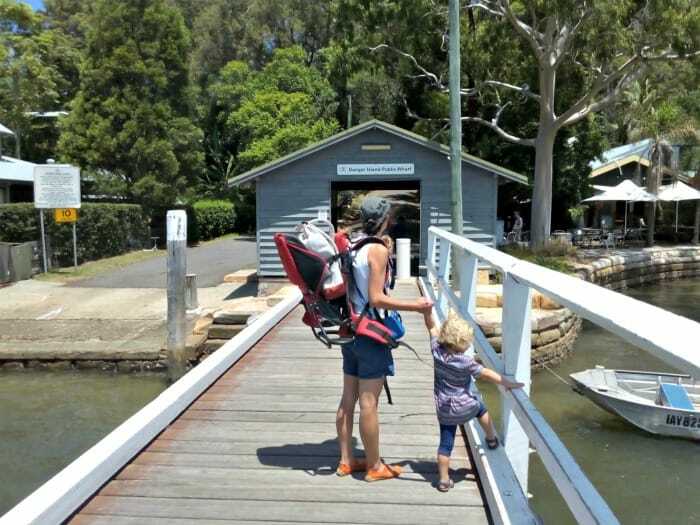 Then, walk 10-15 minutes to the public ferry wharf. This is actually what we did. 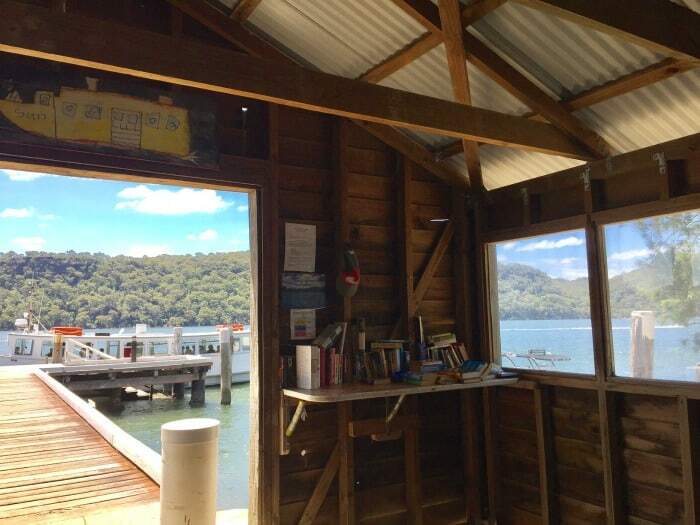 Yes, the Dangar Island Depot cafe next to the wharf is open every day. The Dangar Depot Facebook page is here. The bowling club website is here. 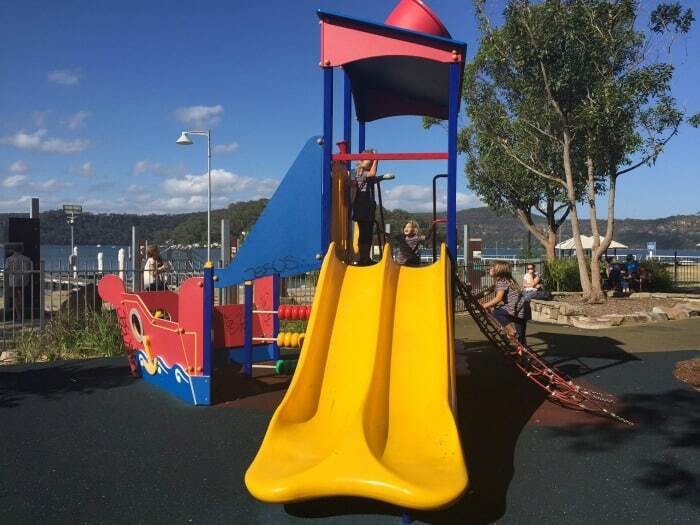 Does Dangar Island have any playgrounds? Yes, a good one next to the bowling club. 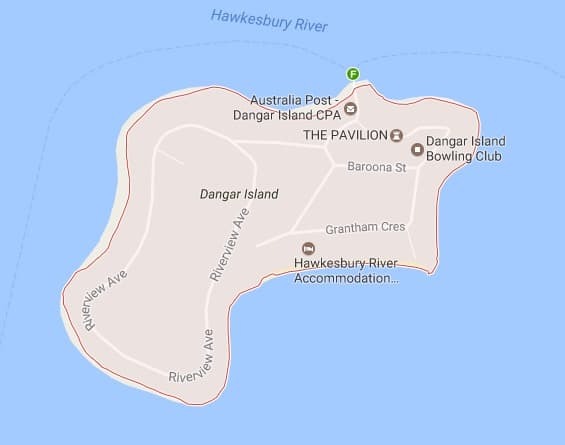 Does Dangar Island have a patrolled beach? No, but the beach doesn’t have big waves. 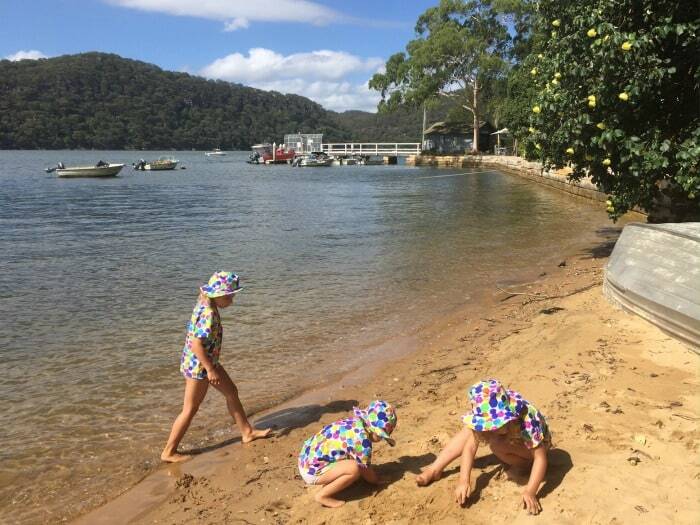 We went to Dangar Island on a “lazy” Sunday of summer. 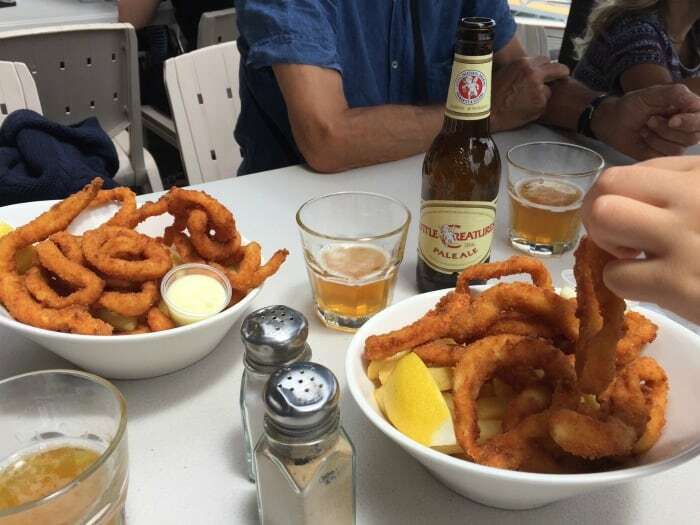 So, when we arrived at the public ferry wharf of Brooklyn, we were hungry again. 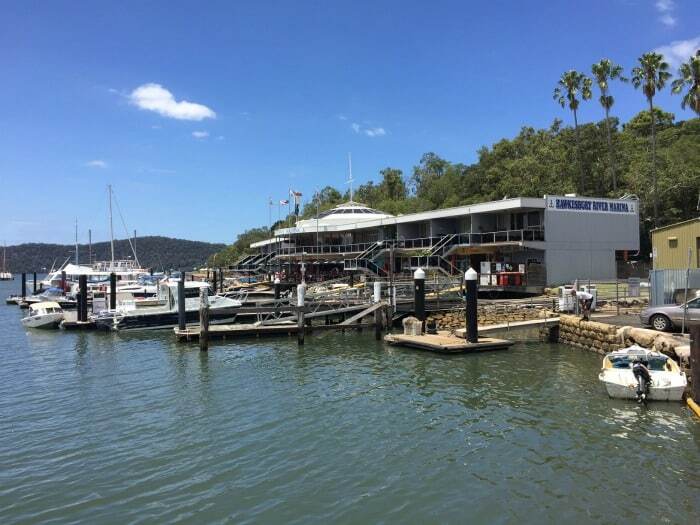 We had an early lunch at the King Tide Café that overlooks the Hawkesbury River Marina, which is opposite the Brooklyn Public Wharf. I grabbed some beers from the Brooklyn Skipper Liquor & Supermarket that it is in the same marina complex. Then, we had delicious coffee and dessert at Dangar Island Depot Café once we arrived on the island. And we continued to enjoy the beautiful and spectacular views of the Hawkesbury River. What a good place to wind down! I think that the photos speak for themselves. No filters! There are two tracks for a family-friendly walk. Choose one or combine both. The Riverview Loop is 2.8 km and it is categorised as a grade 3. Bradleys Beach Loop is shorter (1.7 km) and easier (grade 2). 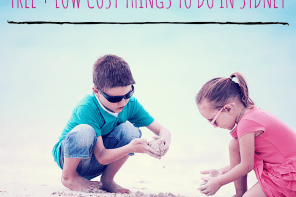 We chose the Bradleys Beach loop because it is the shortest and the easiest, but also because my children wanted to go to the beach and to the playground. Despite the path not being totally paved, I would say that you could easily take the pram if you need to. The walk was so peaceful that Miss 2 felt asleep. Bradleys Beach was a bit muddy (due to the rain of the previous day), so the girls had a splash on the beach that it is next to the jetty. The water was crystal clear. And my girls had a good time looking for shells. 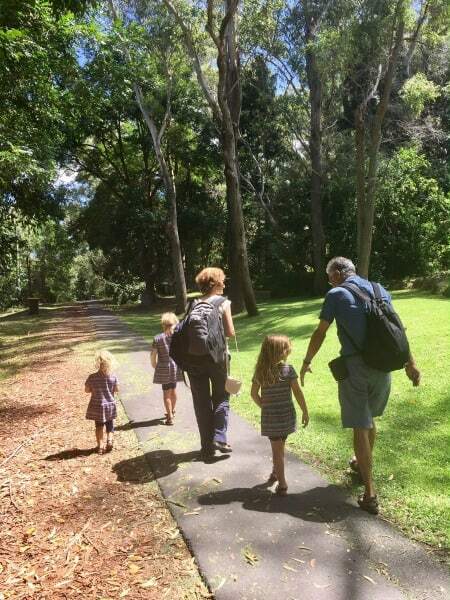 Click here for a self-guided map of the Dangar Island showing walks. “Over 100 animal species (mostly birds) and over 90 plant species have been recorded on or near the island and it contains the only known location of the regionally significant ecological community known as Blackbutt-Rough-barked Apple Forest.” Information extracted from the Hornsby City Council brochure. Also, Dangar Island has several informative signs of the Hawkesbury Sea grass and its environment that explain the importance of it. 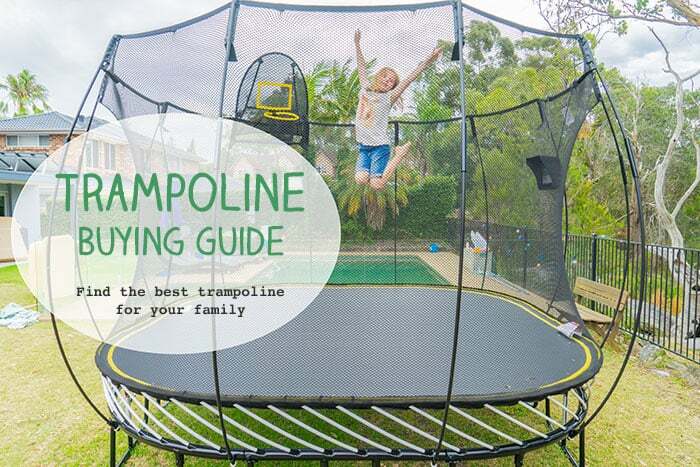 The playground has all the elements for primary school kids to have a good time. The only thing that it was missing was a bit of shade in the middle of the day. The bowling club is super close to the playground, so have a drink and relax or eat and let the kids burn energy. You can easily watch them from the club! Yippee! If you end up doing this day trip, you might even wonder if you could live in a place like Dangar Island. To be honest, I am not quite sure if I am ready for such an alternative lifestyle. But, I am sure that I could perfectly spend one weekend and just relax!!! My daughters will keep dreaming about having one of the beautiful tree houses that we saw during the walk. 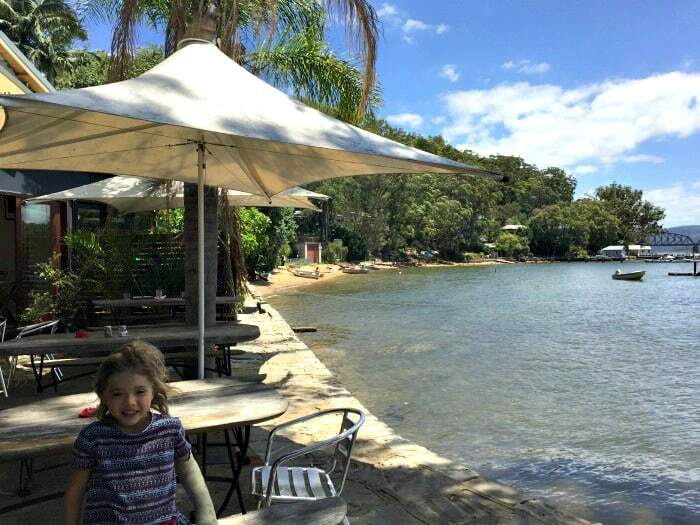 After reading the article, you might wonder if visiting Dangar Island is the right day trip for you and your family. Here, my answers: Yes, if your children like going on a ferry. Yes, if you love postcard-like places. Yes, if you appreciate simple things. Yes, if you are looking for tranquillity. Dangar Island is not Daydream Island in the Whitsundays; it is not a destination resort. But, it is a very special island indeed. With its laid-back atmosphere and beautiful surroundings, Dangar Island is a good destination for a great day out or a weekend escape without the need of having to catch a plane! It is only one hour away from Sydney. Despite being an island, Dangar Island is one of those privileged locations that can still easily be reached by public transport. 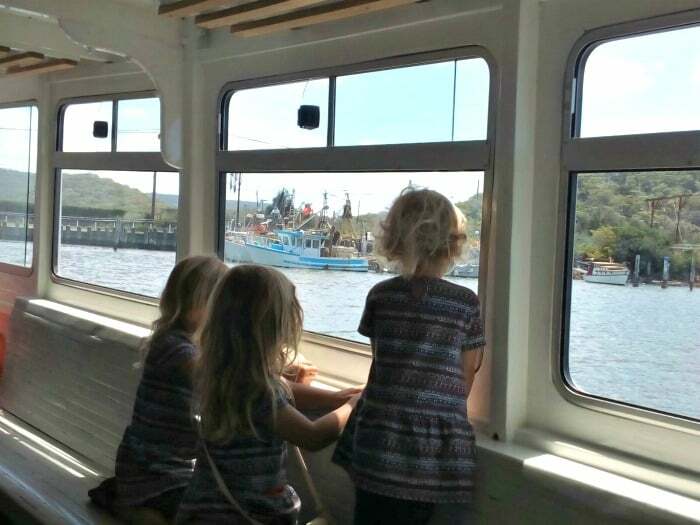 So, if your children love trains and boats, Dangar Island day trip ticks all the boxes. Forget the crowds of Circular Quay and enjoy a different scene! There are lots of trains during the day and the ferry service connecting Brooklyn to Dangar Island is efficient and it departs every hour. The Guringai people, also known as Eora were Aboriginal inhabitants of Dangar Island for at least 30,000 years. They lived on the banks of the river from its entrance to Mangrove Creek. 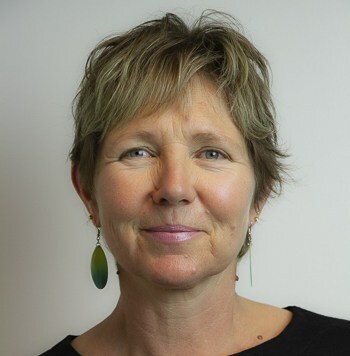 According to the Hornsby Shire Council, there are more than 200 known Aboriginal heritage sites in Hornsby Shire, including rock shelters, middens and engravings. Governor Philip was the first European explorer of the Hawkesbury River. There is a small obelisk that commemorates it at the entrance of the Hawkesbury Marina in Brooklyn. Next to McKell Park, there are a series of informative panels about the history of Brooklyn and the construction of the bridge. It is worth to stop there and have a look at it. McKell Park has a fantastic boat-themed fenced playground, picnic tables, barbecues, toilets and enclosed swim baths. It is only a 5 minute walk from the Hawkesbury River Marina. From there, you can access to the Upper McKell Park, the Federation Lookout and more picnic facilities. The Riverboat Postman departs from the same place as the Dangar Island ferry. You will see a cute little cottage before reaching the public wharf. If you decide to take the scenic way via the Pacific Highway instead of the M1, don’t forget to stop at “Pie on the Sky” on the way back. It is one of the best pie shops cafés of Sydney and surrounds. 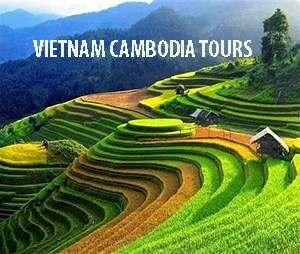 It is well known by the motorcyclists and the locals. It is very popular on Sundays. 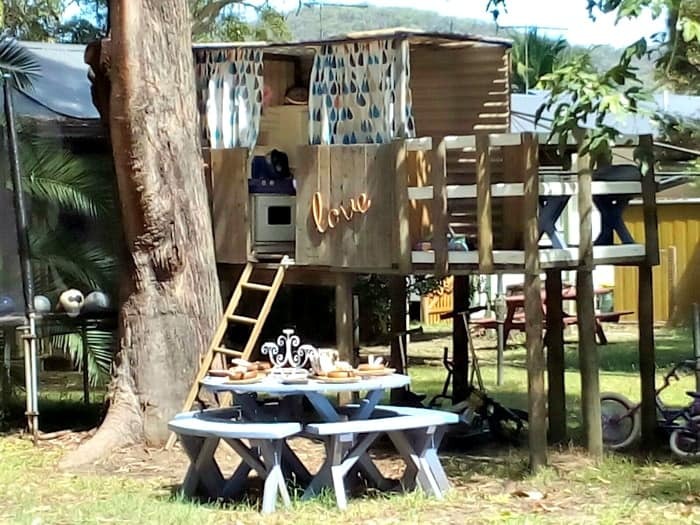 Although it is not a flash café, from here you can enjoy beautiful views of the Hawkesbury River. The pie menu has all sorts of pies, 22 different flavours, including the classic sweet apple pie. Besides individual pies, they sell take-away family beef pies with big chunks of beef and delicious pastry, handmade from the scratch. For us, this is the perfect addition for a great day out: arrive at home and have the dinner ready. By car: Take the M1 towards Newcastle, and exit at Mooney Mooney. Or take the scenic way, via Pacific Highway through Hornsby and Cowan. Discovering Dangar Island on the Hawkesbury River was one of the best day trips that we did when my parents visited us. Dangar Island is a beautiful place to enjoy the serenity of tranquillity. 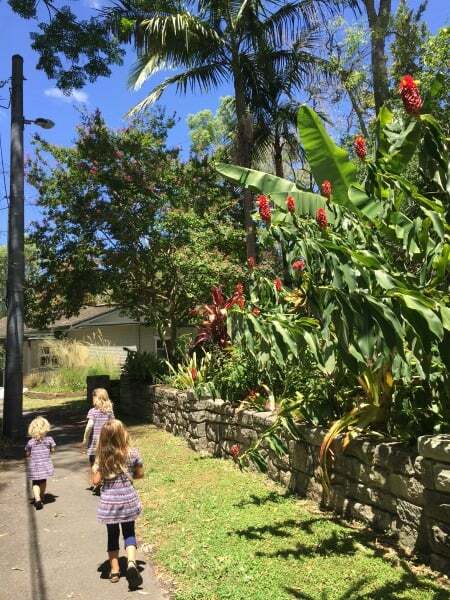 The world seemed to slow down when we were there, and my children did too. Seana writes: Thank you so much for writing this Mireia, you have brought back such happy memories for me. My family has stayed for a weekend on Dangar Island at a house right on the beach at Grantham Crescent. It was heaven! This was long before I started blogging. Thanks so much for reminding me of some very happy family times. PS Children might like two books about the island, find them here. Sounds like a wonderful day! Looking forward to doing the same when it warms up. I am pleased that you enjoyed your visit to Dangar Island. 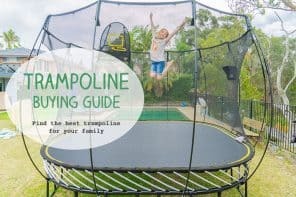 I discovered this article by accident and am thrilled to see that you have a link to my two children’s books. Thank you so much. Hi, you very well explained Dangar island trip before I go. I am going this weekend with my friend. She is so excited about the island’s natural beauty. It will help us. Thanks for pre information. Very well scripted.